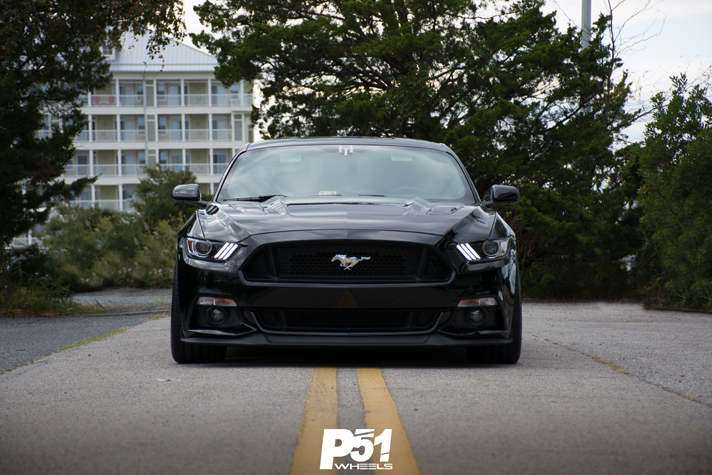 P51 Wheels is proud to introduce another member joining the family. 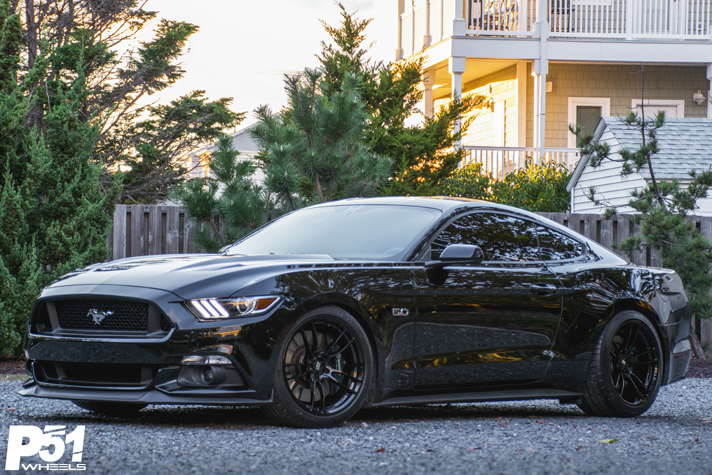 Jerell brings us his 2017 Shadow Black S550 Ford Mustang GT to add another color combination with our lovely P51 101RF wheels in the standard Gloss Black finish. 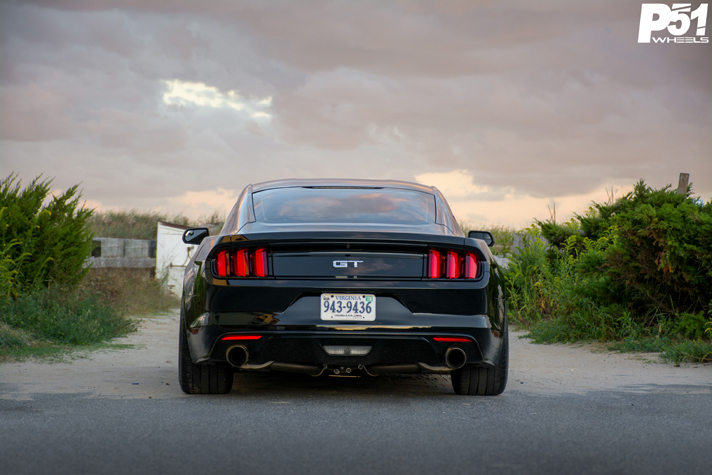 Together, it brings a mean, sinister appearance for his Shadow Black but this was only one of his main choices for choosing us as one of his many performance upgrades for his Mustang GT. 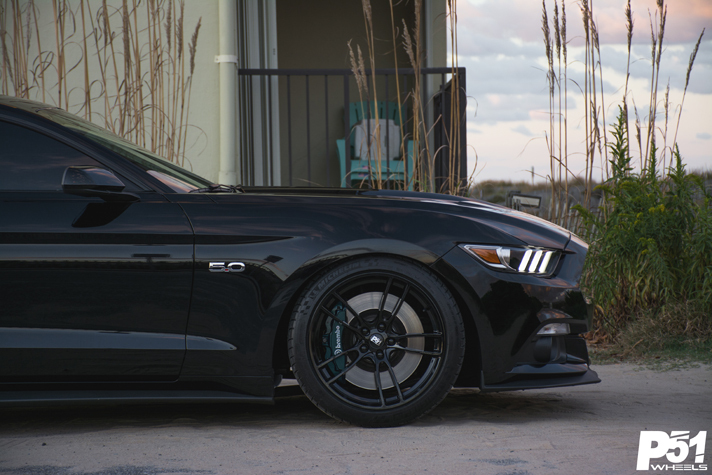 To start off, a little testimony from Jerell on his journey to his set of P51 101RF wheels. I first stumbled upon these wheels scrolling through Instagram and they immediately caught my eye! 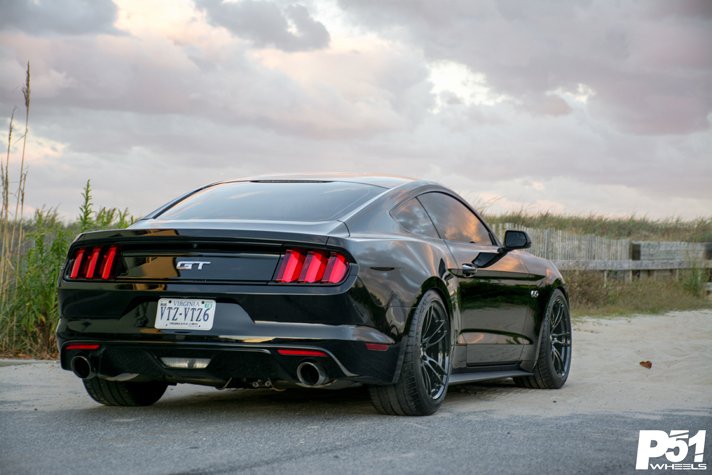 They’re specifically designed for the s550 platform and the fitment shows! And to make things even better, they’re 12 lbs lighter than the performance package wheels! Took 3 days shipping from California to Virginia and the wheels arrived in individual boxes wrapped and covered to prevent travel damage. Opened and unwrapped, these wheels are stunning and surprisingly lighter than expected when you pick them up. These wheels transformed the look and feel of the car. The car literally feels faster and more agile! I get a lot more looks and compliments now when I’m just cruising on the highway or walking to my car in a parking lot. The best part about it all though is the cleaning! Compared to cleaning the performance pack wheels, I probably clean all 4 in the time it would take for me to start on the 2nd pp wheel. With plans on supercharging his GT, the newly added wide setup and the upgraded tires will surely help Jerell plant more power down onto the road. Currently lowered on the Pedders XA coilovers, the fine tuned height really puts everything together. 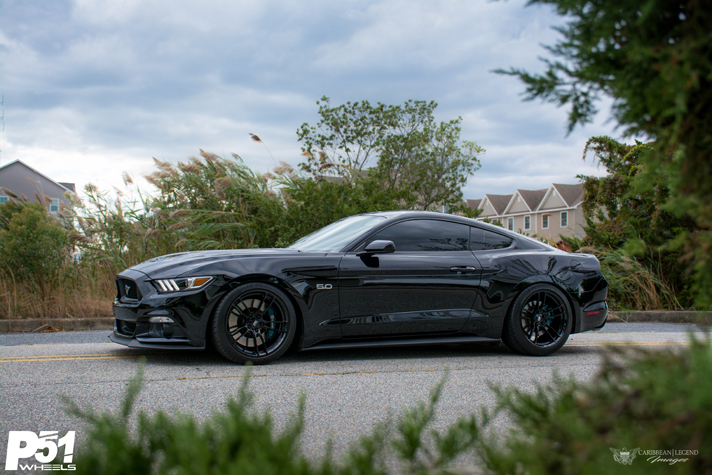 With a full suspension upgrade in the near future, we should be seeing great things happening with Jerell’s build and turn this sinister S550 in a beast. Looks great!! 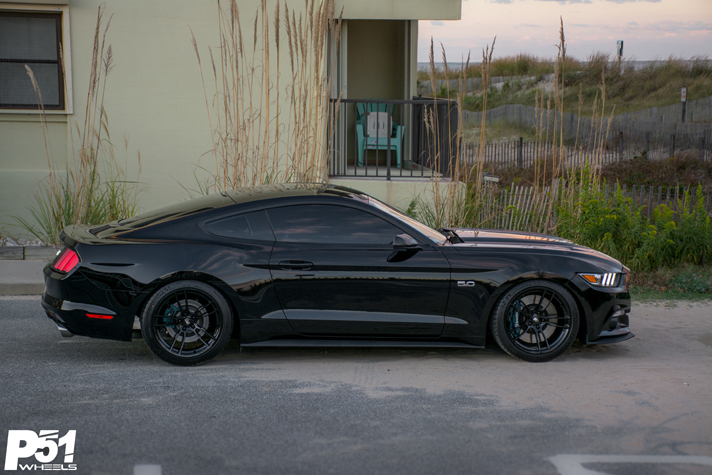 How much for the shadow black on black rim and tires like on the shadow GT setup?